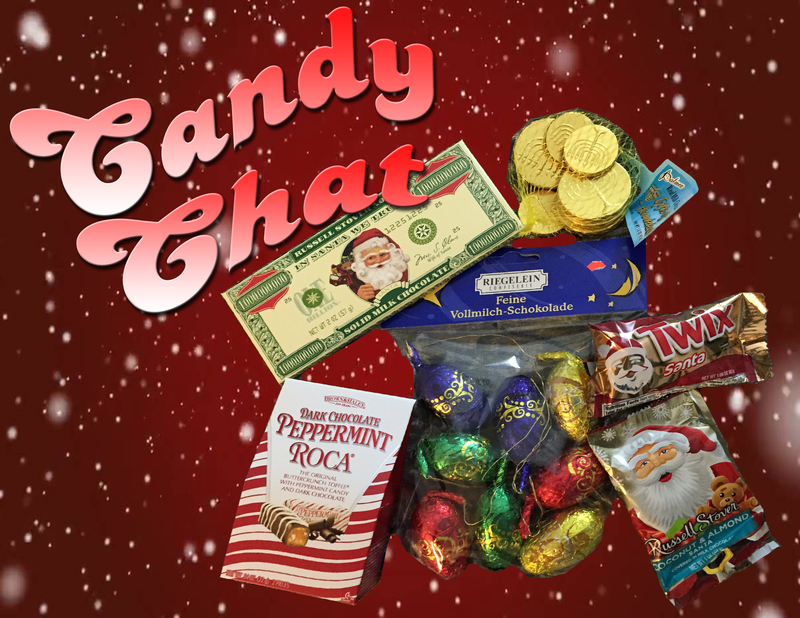 The merriest of Christmases from Candy Chat! For this year’s Christmas assortment, Betty and Tab try an old standby in Twix, foreign flavor in Reigelein, and 2 types of Russell Stover offerings. There’s even some Palmer disappointment and an odd combination with a highly-packaged peppermint toffee! Which will jingle bell rock the taste buds and which will leave a silent night? The top pick may surprise you in this holiday episode of Candy Chat! Betty and Tab roll the rock back from the taste tomb in this Easter edition of Candy Chat! With PigglyDog picked clean of Easter goodies, the ladies turn to the lesser-known offerings from the local Dollar Hollar. On the menu for this episode is Palmer Chocolate crosses and ears, Mighty Malt Eggs, Inspiration Eggs, and Lindor Truffles. What 3rd or 7th rate candies will win their hearts or mangle their taste buds? 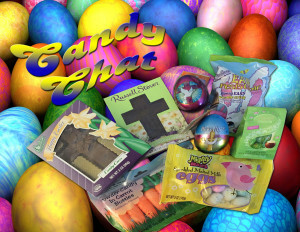 Pop open the plastic eggs and find out in this episode of Candy Chat! Help keep our candy bowl filled!